Can ‘Selfies’ in today’s day and time be considered as a form of self-portraiture? The Serendipity Arts Festival invites all to submit their selfies and be a part of the Festival! Curated by Dinesh Khanna, Selfie: A Self Portrait hopes to encourage people around the world to post new and creative selfies! Wherever you are, however you may be placed! Here is an opportunity to be an artist and have pictures selected and displayed at the Festival for everyone to see! With the phones being a part and parcel of our lives, the idea is to question what makes the self-portrait now. All the ‘creative’ selfies will be shortlisted and the participants will be invited to show these at the Festival in Goa. The only condition is that the selfie has to be shot by the person themselves and with a phone camera. The selected images will be exhibited as prints, whereas the Instagram feed will be kept live right through the Festival. The curator intends to make the artwork an interactive one as well. 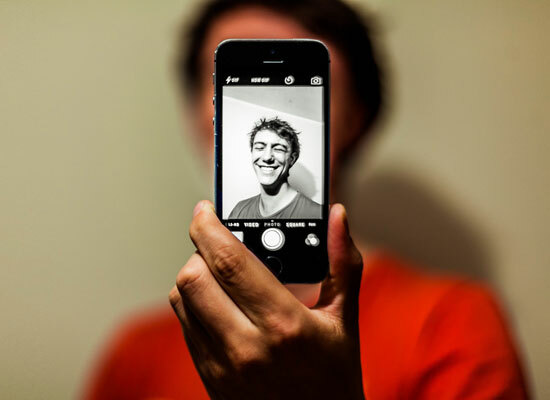 The audience may click a selfie, upload it on the feed and with the help of an already installed printer, print their images and put it up on the wall of ‘Selfies’.